Welcome to Scoresby Secondary College. Our school has been transformed over the past two years with a high performing culture, curriculum and many new staff. We are already seeing the results in improved academic results and increased student numbers. We focus on excellence and enabling every child to reach their best. We believe that every child has a gift, a particular skill, a special something that can make a difference – to their own lives, to the lives of those around them and to the future of our world. Our school is growing, but class sizes are small and there is a very personal approach to each child’s learning. It is an exciting time of growth and change for our school and there are many more exciting initiatives planned. The school is located on a beautiful campus in Scoresby with extensive playing fields and views of the Dandenong Ranges. Our students come from a range of surrounding areas including Knox, Lysterfield, Monash, Rowville, Upwey and Wantirna. 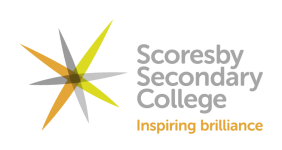 Scoresby Secondary College celebrates a year of achievements including excellent VCE results.